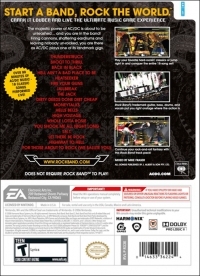 Description: A track pack for the very popular rhythm game Rock Band. 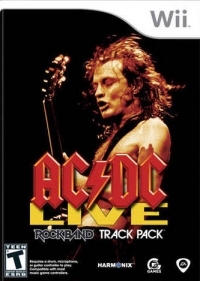 It features 18 AC/DC songs. Box Text: Start a band, rock the world. Crank it louder and live the ultimate music game experience. The majestic power of AC/DC is about to be unleashed... and you are in the band! Firing cannons, shattering eardrums and leaving nobody un-rocked, you are there as AC/DC plays one of its landmark gigs. Play your favorite hard-rockin' classics or jump right in and conquer the entire 18-song set! Rock Band's trademark guitar, bass, drums and vocals put you right onstage where the action is. Continue your rock-and-roll fantasy with this Rock Band track pack! 12-17-2013 stingray0097 Box Text Start a band, rock the world. Crank it louder and live the ultimate music game experience. The majestic power of AC/DC is about to be unleashed... and you are in the band! Firing cannons, shattering eardrums and leaving nobody un-rocked, you are there as AC/DC plays one of its landmark gigs. Play your favorite hard-rockin' classics or jump right in and conquer the entire 18-song set! Rock Band's trademark guitar, bass, drums and vocals put you right onstage where the action is. Continue your rock-and-roll fantasy with this Rock Band track pack! 06-18-2012 stingray0097 Description A track pack for the very popular rhythm game Rock Band. 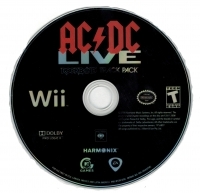 It features 18 AC/DC songs.